Pope emeritus Benedict XVI’s essay on what he perceives to be the causes for the sexual abuse crisis in the Church (and beyond) is causing much discussion on social media, which can be divided in two debates: the first on the content, and the second on the author. I want to share some thoughts on that second debate. There are those who believe that a pope emeritus should never be heard from. And should he be heard from, that means he is undermining the policies and pastoral activity of the current pope. That is an untenable position in the case of Benedict XVI’s essay, as he is not proposing any policies or criticising anything that Pope Francis has said or done. 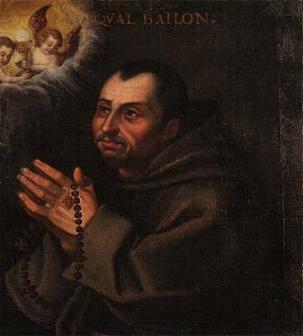 Benedict writes that he informed both Pope Francis and Cardinal Parolin about the essay before publishing it in a minor periodical for Bavarian clergy. 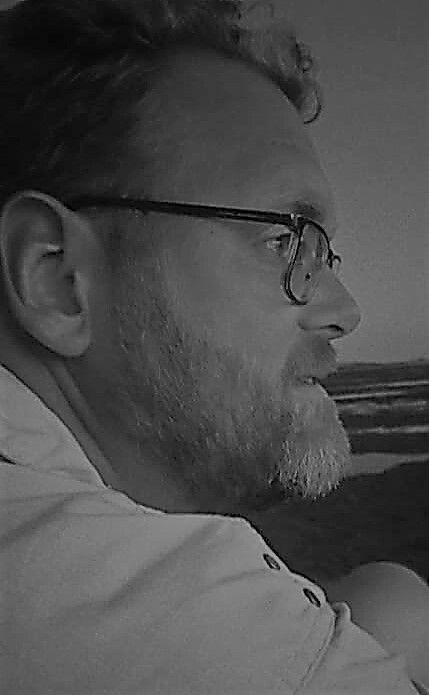 All involved, however, must have known that the essay, coming from the retired pope, would not remained limited to the audience of that publication for long. It is a safe assumption, therefore, that both the pope emeritus and the current pope are at peace with the essay being read across the world. To claim that this text is an attack or criticism on Pope Francis is symptomatic of the politicising happening in the Catholic Church. Everything, it seems, has to be seen as either right- or left-wing, with the pope emeritus being taken as a spokesman for the right and Pope Francis as one for the left, This is not only a simplification, but also seriously harmful. If we take successive popes as being automatically contrary to each other, the conclaves and the papacies of each vicar of Christ become nothing but political spectacles. The papacy has its political elements, sure, but it is in the first place a pastoral ministry, if at a global scale. And that ministry has its continuity, although the person exercising it periodically changes. What Pope Benedict XVI said and did is not by definition contrary to what Pope Francis says or does, even if both men, having different personalities, focus on different elements and express themselves differently. The continuity remains, and that is why it is also entirely irresponsible to see what one pope says and does in isolation from what his predecessors did and said (and from the deposit of the faith in which they stand and act). If that happens, you get radically different (mis)interpretations, the likes of which we have seen on an increasing scale in recent years. The knee-jerk reactions I see in the wake of Pope emeritus Benedict XVI’s essay reveal that there is a strong tendency among many to place him in automatic opposition to Pope Francis, and whatever they see the latter standing for. This is not only unjust, but also dishonest. Every year I use the Saint Name Generator to find a patron saint for my blog for the year. Whatever name the generator may come up with, I always try to see it as something of an inspiration and guide for my future endeavours here and in social media. But sometimes, that’s difficult. This year, I was given the name of Saint Afra. She’s no only a very old saint, having died in 304, but also one of whom we know very little beyond her legend. But at least she hails from the area which I try to cover in this blog: of Cypriot origins, she led a holy life and died in Augsburg, Germany. Her legend tells us that she was originally a pagan, possibly the daughter of the king of Cyprus, working as a prostitute (perhaps in the service of the local temple of Venus). She converted when she and her mother hid the bishop of Girona, Spain, who was fleeing the persecutions under Emperor Diocletian. Now a Christian, she was arrested when she refused to make a sacrifice to pagan idols, and was killed by being burned at the stake (although some sources say she was actually beheaded). The story of her martyrdom is by far the more reliable part of her legend. Her patronage includes the city of Augsburg, converts, martyrs and penitent women. There, at least, we may find something to relate to as your author is himself a convert (eleven years ago coming April). Maybe Afra’s steadfastness in the face of adversity will prove to be an inspiration as well. Sancta Afra, ora pro nobis! At Christmas we share with others, giving from what we have. Maybe this blog could also be the recipient of some kind donations this season. With your donations I can continue bringing news, translations and opinions about the Catholic Church in the Netherlands and countries around it, as well as some of my personal reflections which may be of some benefit to others. You never know, right? As we enter the eighth year of this blog, I remain grateful for the visits here and the sharing of my blog posts (with due credit, of course) in other media. I think it is important to provide an objective and positive voice about the faith, especially as it is lived in my part of the world, in the wider world. Donors will obviously be remembered in my prayers. Donations may be made via the PayPal button below (one is also always present in the left sidebar). In your donation, it is possible to make a specific request or purpose for the money. A bishop’s reflection on Advent is nothing new, but it becomes more interesting when the author is personally invested in what he says. 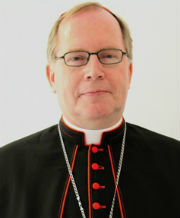 For Archbishop Ludwig Schick of Bamberg, his appeal for prudence and calmness comes after a period in which he himself has been the target of verbal and written attacks – and even death threats – after he said in an interview that he saw no problem with the legal election of a Muslim president of Germany. 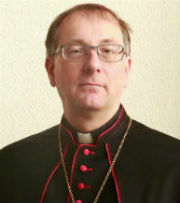 In a public debate, Archbishop Schick had said that the Church was obliged to accept the election of a Muslim president of Germany. “Anything else would not be supported by the Basic Law [the German constitution]”. The archbishop was subsequently misquoted in social media and so became the target of verbal abuse and even death threats. In his message, which was addressed to friends and followers, but also strangers and enemies, Archbishop Schick speaks about Advent as a new beginning, or at least the start of the road towards a new beginning. “Advent is in the first place the invitation to all of us to forgive and to reconcile; without forgiveness and reconciliation there can be no new beginning and no better future; that is true for all areas of life. Fifteen minutes a day, if possible more, to quietly listen to the voice within us is a good way to uncover the essence of our being again, the archbishop concludes his message. The papal in-flight press conferences are, by now, looked at with some trepidation, as Pope Francis has shown a tendency to speak of the cuff and not always succeeding in clearly expressing what he wants to say, which in turn leads to people thinking that things have changed when they have not. Today’s conference avoids that with a succinct warning.